Editorial page cartoons are always available to newspaper editors and also for magazine publishers. Do you have an editorial page you think needs a good cartoon? Do you want to make a statement using a custom cartoon created for your readership? Have you thought about including cartoons in your publication or digital project? 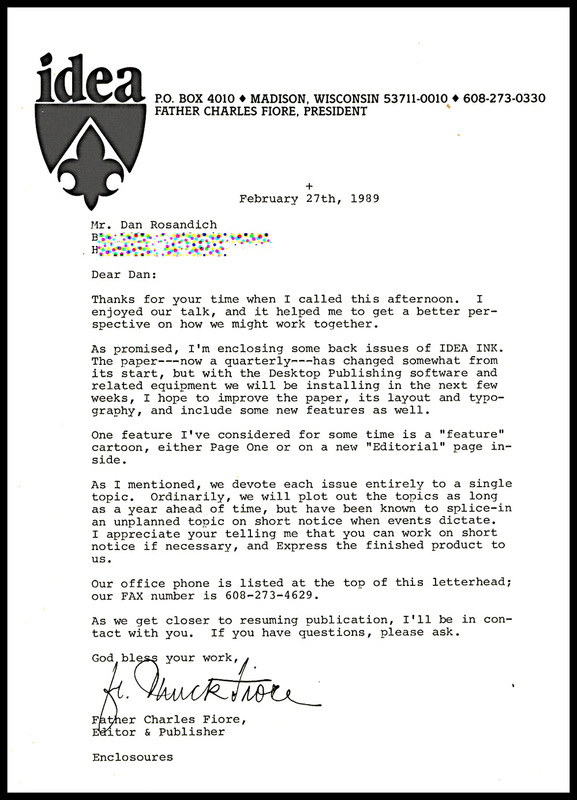 All good questions you may have been asking yourself and I wanted to write about an old letter I will share here that reminded me of reiterating the availability of my custom editorial cartoons services for editors and publishers. As I had written in the past, I engaged in a lot of intense self promotion of cartoons and services I offered throughout the 80’s and 90’s. There was a publication called ‘Idea Ink’ magazine based in Madison, Wisconsin (Madtown!) that responded to one of my promotions. I recall getting this particular response from Father Charles Fiore who was the publisher. We talked at length of my doing work for his editorial page and I did some work for them. Mr. Fiore was very engaging and extremely interested in what I had to offer so I faxed rough sketches and he’d accept work after it met his approval. This was one of many similar responses I received in my continuous promotional routine I’d followed when I was reaching out to publishers nationwide. 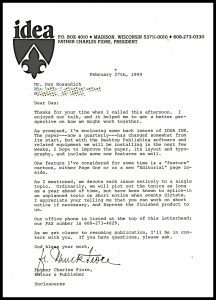 Idea Ink was geared to a more general readership that had an editorial focus on religious issues and topics in the daily or news of that week etc. Don’t forget, if you are the editor of a city newspaper, it goes without saying that I’m also available to create custom editorial cartoons for newspapers. Keep this in mind because I have worked with many in the past. 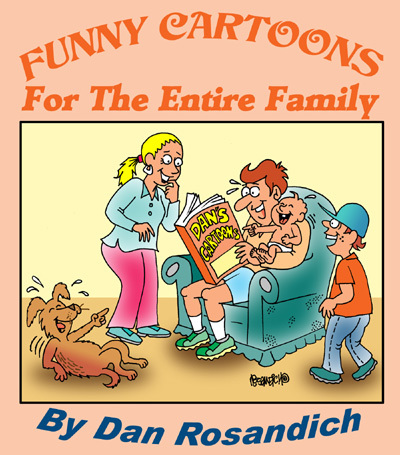 Some editors have used me a couple of times while several have kept my contact info and came back to request special customized cartoons time and again. Featuring editorial page cartoons will attract your readers to your content and articles that your editorial page focuses on. Even for a small quarterly magazine that was published by a Catholic organization like Idea Ink, there are many variables I can offer to small or large circulation publications. If you want to verbally discuss something, simply contact me with your phone number and I can return the call immediately. Editorial page cartoons will speak volumes to your readership!